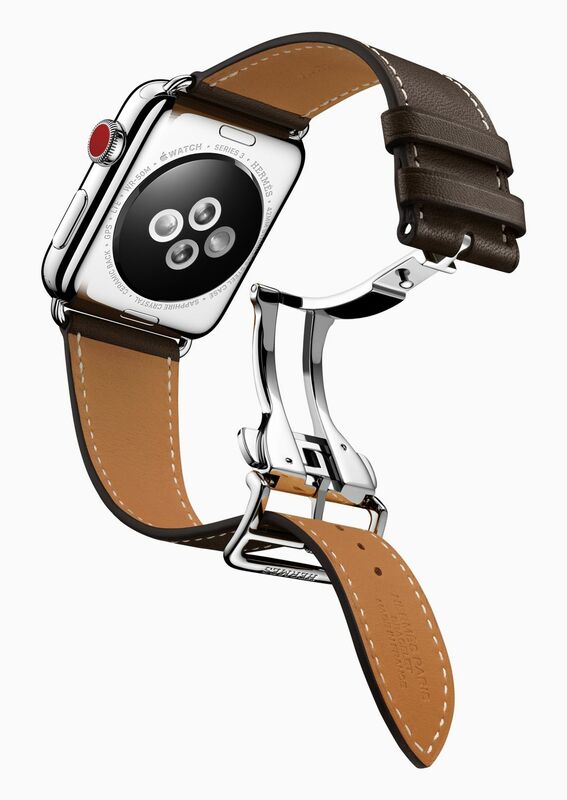 Apple Watch is available in two different case sizes, 38mm and 42mm. 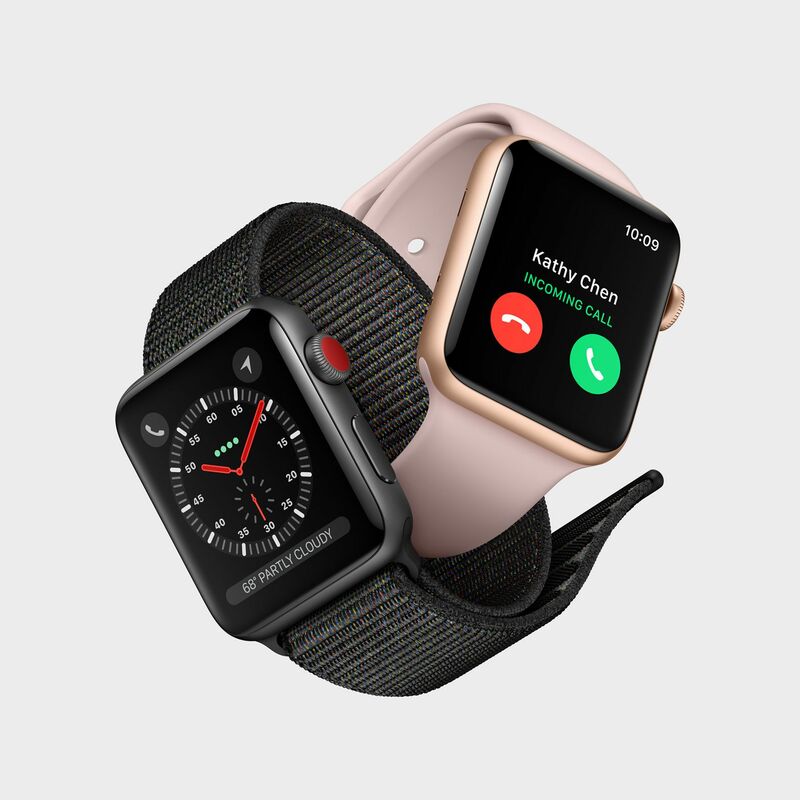 Apple Watch Series 3 (GPS + Cellular) will be available in gold, silver or space gray aluminum, or silver or space black stainless steel paired with a variety of bands starting at $399 (US). 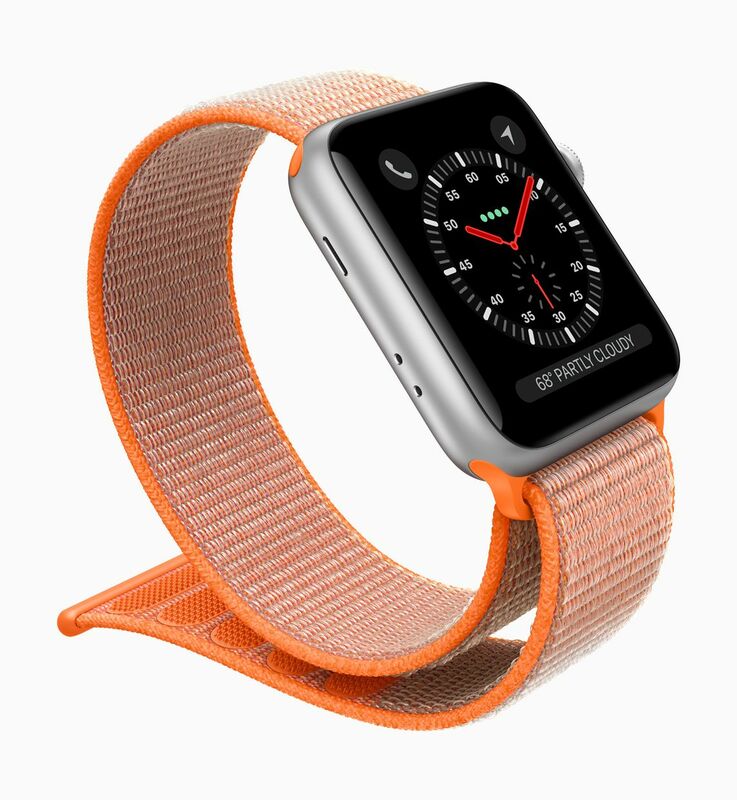 Apple Watch Series 3 (GPS) will be available in gold, silver or space gray aluminum cases with a Sport Band starting at $329 (US). 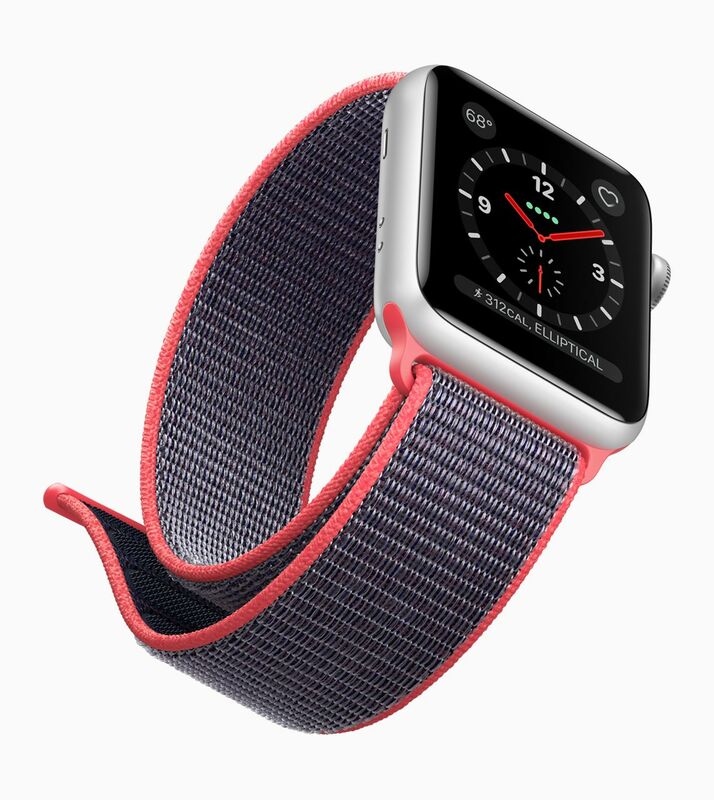 Apple Watch Series 1 is available in silver or space gray aluminum cases paired with a Sport Band starting at just $249 (US). 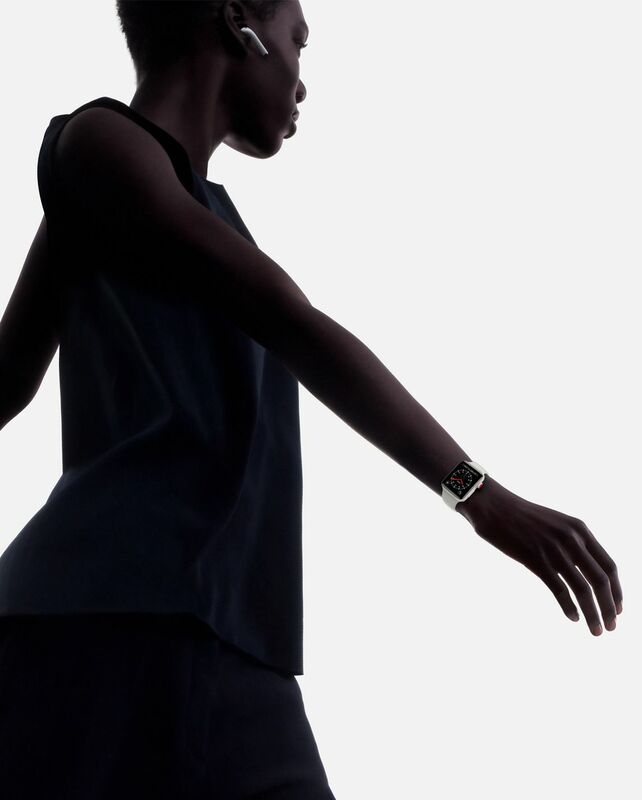 Apple Watch Edition in gray or white ceramic will be available starting at $1,299 (US). 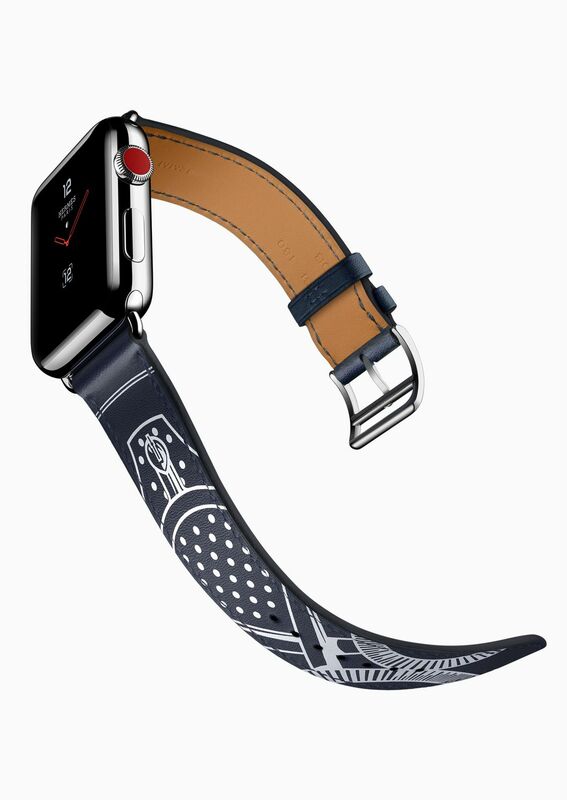 All models will be available from apple.com and Apple Stores, as well as select Apple Authorized Resellers and carriers (prices may vary). 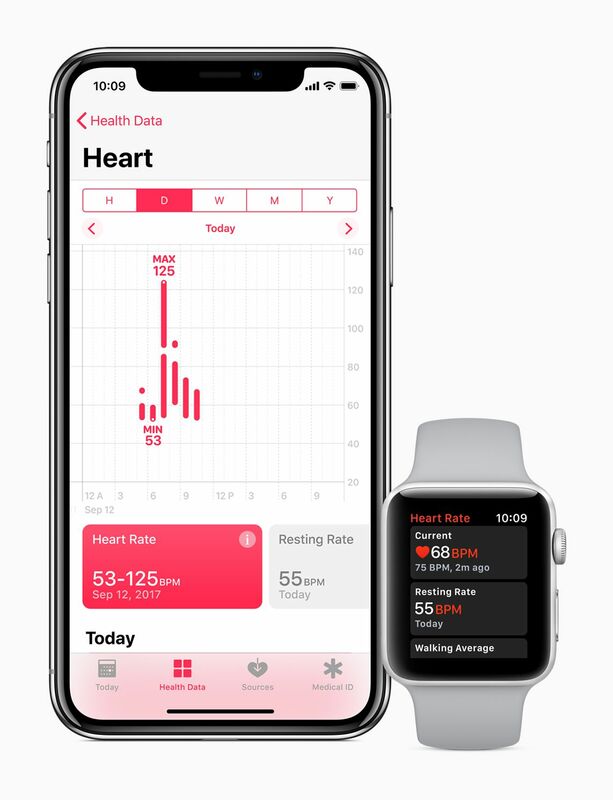 For local availability, visit locate.apple.com. 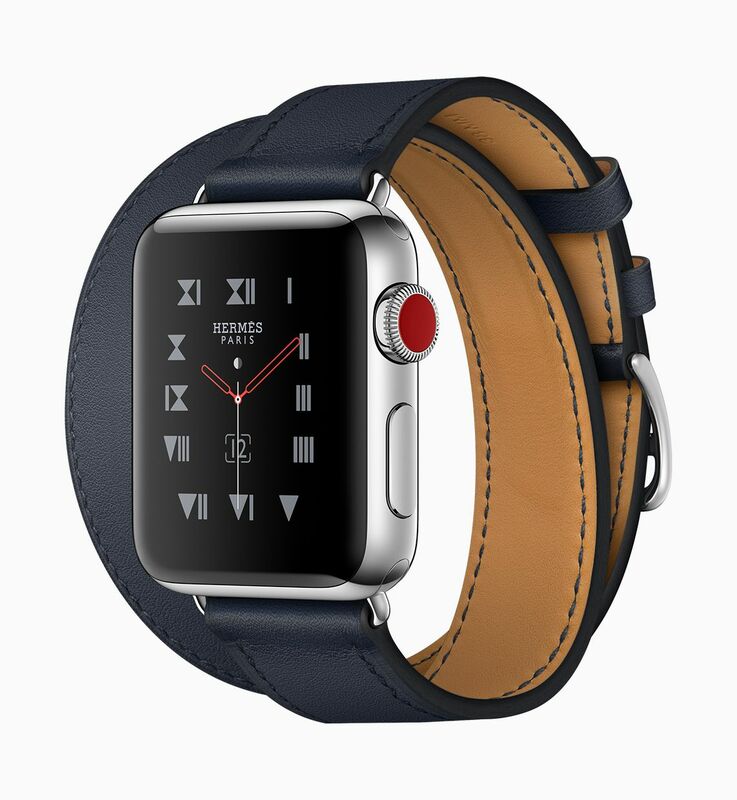 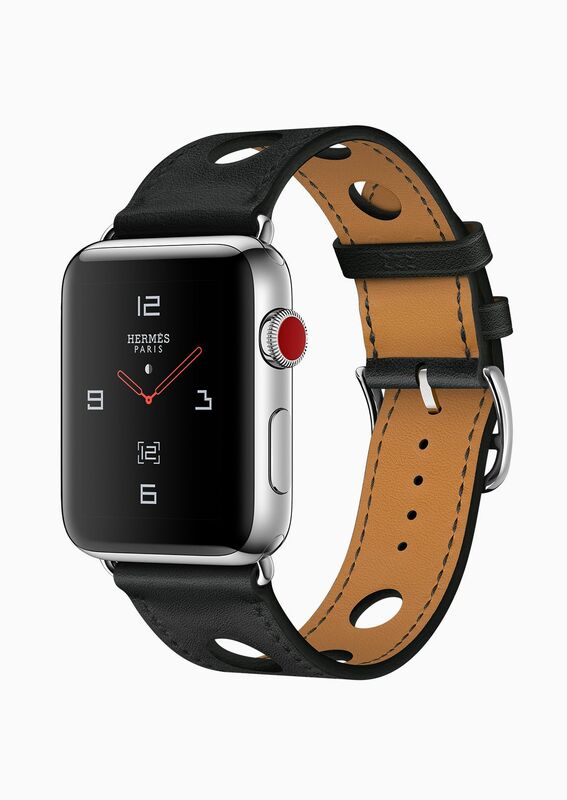 Apple Watch Nike+ starts at $329 (US) and Apple Watch Hermès starts at $1,149 (US) (prices may vary). 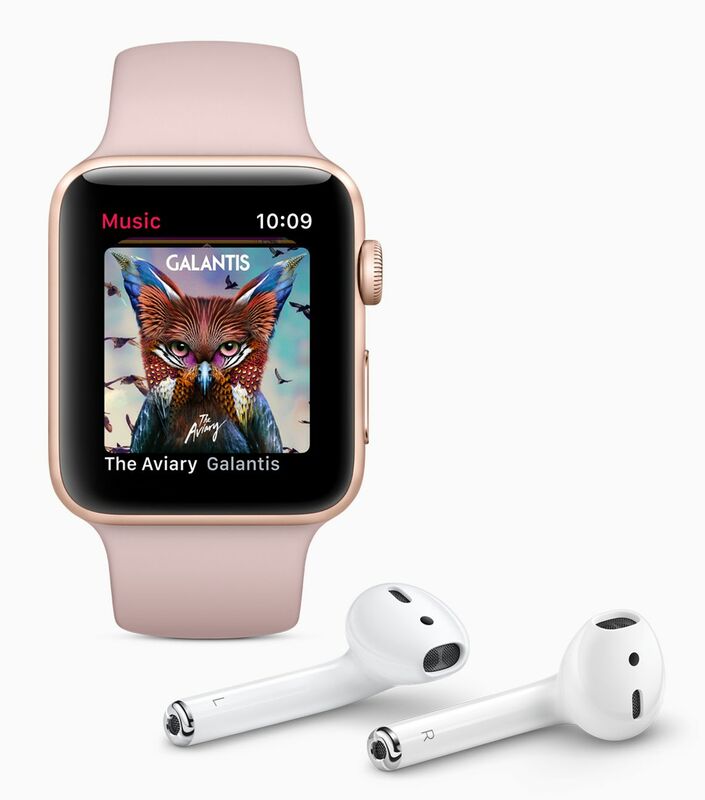 Customers will be able to order Apple Watch Series 3 (GPS) beginning Friday, September 15, with availability beginning Friday, September 22 in Australia, Austria, Belgium, Canada, China, Denmark, Finland, France, Germany, Hong Kong, Ireland, Italy, Japan, Luxembourg, Netherlands, New Zealand, Norway, Portugal, Puerto Rico, Singapore, Spain, Sweden, Switzerland, Taiwan, the UK, the US and US Virgin Islands . 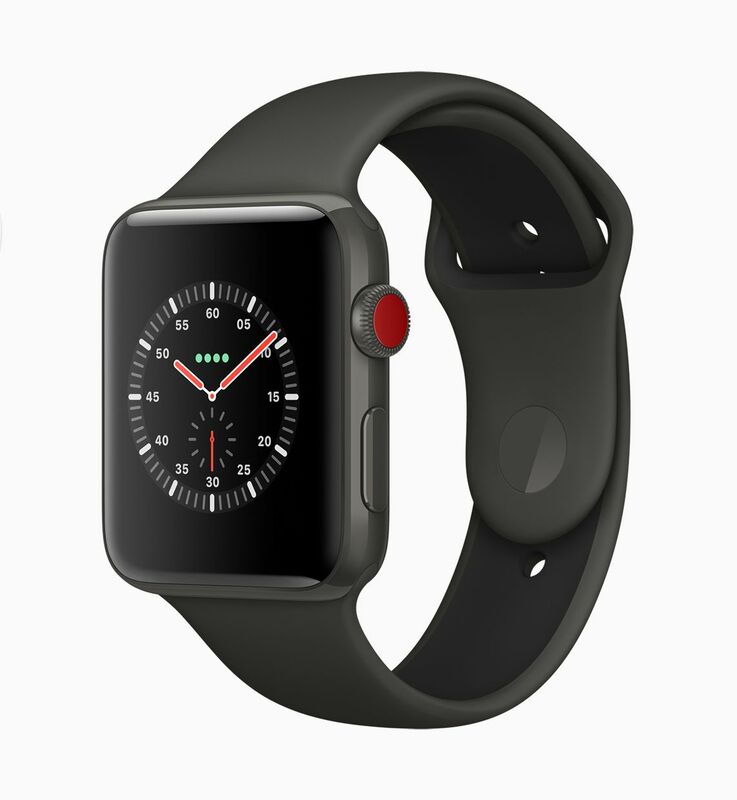 Apple Watch Series 3 (GPS) will be available beginning Saturday, September 23 in UAE . 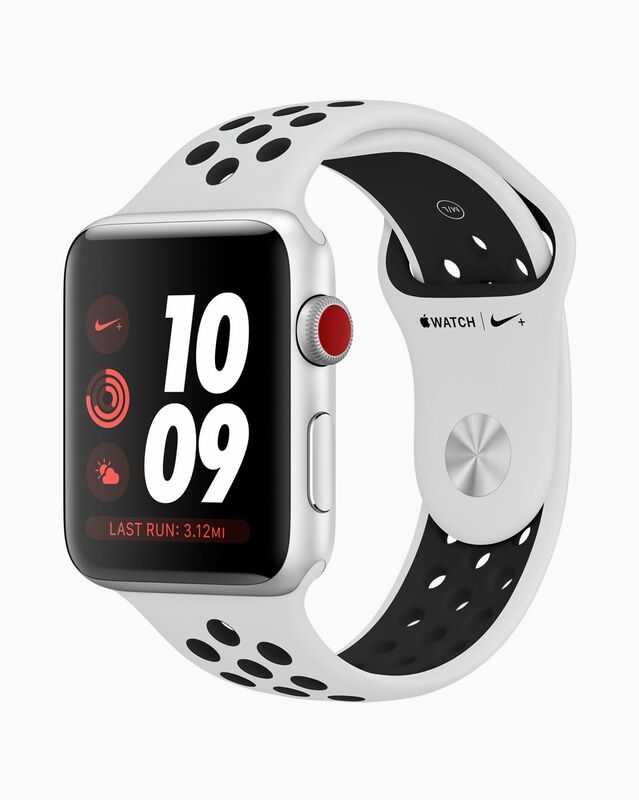 Apple Watch Nike+ will be available to order on apple.com beginning Friday, September 15, with limited availability on Thursday, October 5 in Australia, Austria, Belgium, Canada, China, Czech Republic, Denmark, Finland, France, Germany, Greece, Guam, Hong Kong, Hungary, India, Ireland, Italy, Japan, Kuwait, Luxembourg, Macau, Monaco, Netherlands, New Zealand, Norway, Poland, Portugal, Puerto Rico, Qatar, Russia, Saudi Arabia, Singapore, Spain, Sweden, Switzerland, Taiwan, Thailand, Turkey, UAE, the UK and the US . 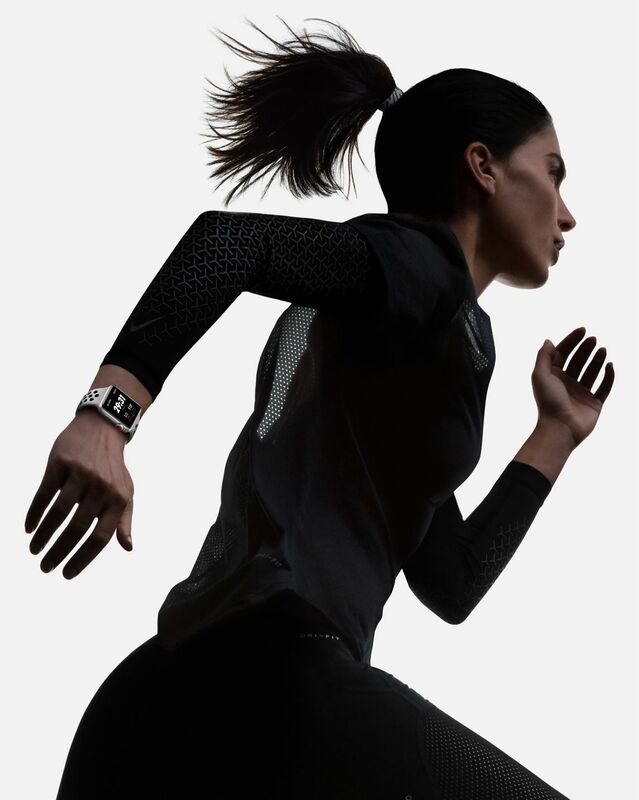 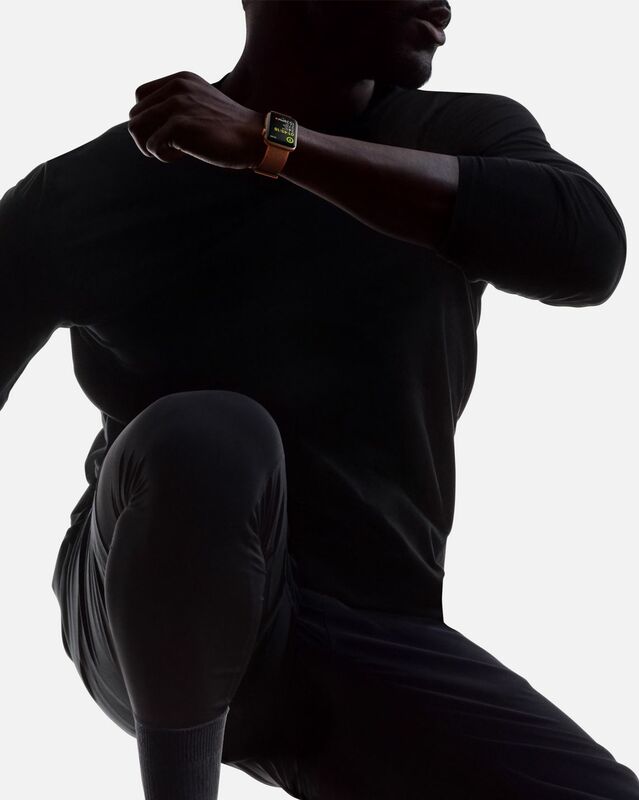 For more information, visit apple.com/apple-watch-nike or nike.com/applewatch. 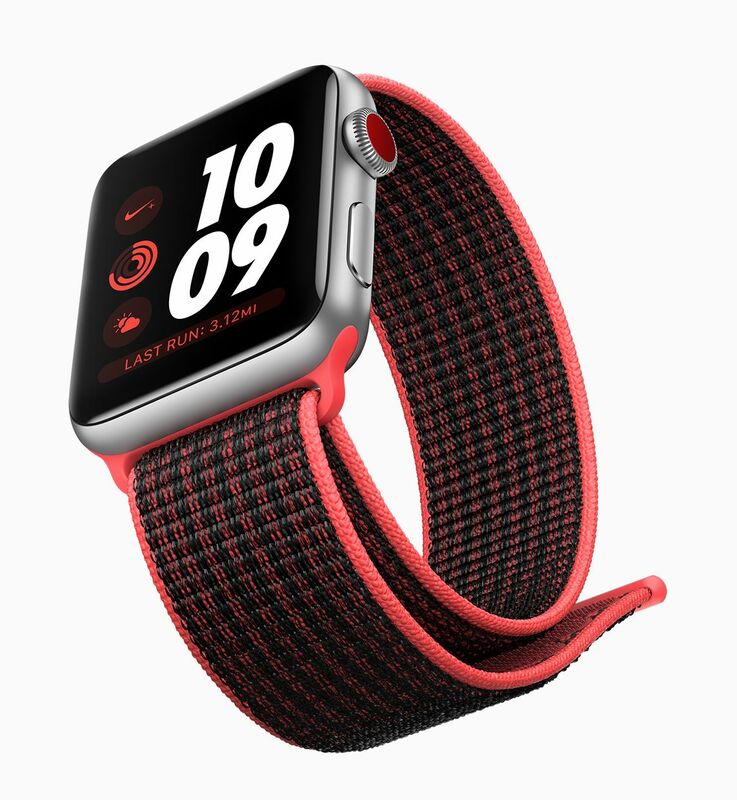 New Apple Watch bands are available today on apple.com and will be available soon at Apple Stores, as well as select Apple Authorized Resellers and carriers in the US and over 35 countries and regions, including Australia, Brazil, Canada, China, France, Germany, Hong Kong, Italy, Japan, Netherlands, Russia, Singapore, South Korea, Spain, Sweden, Switzerland, UAE and the UK.